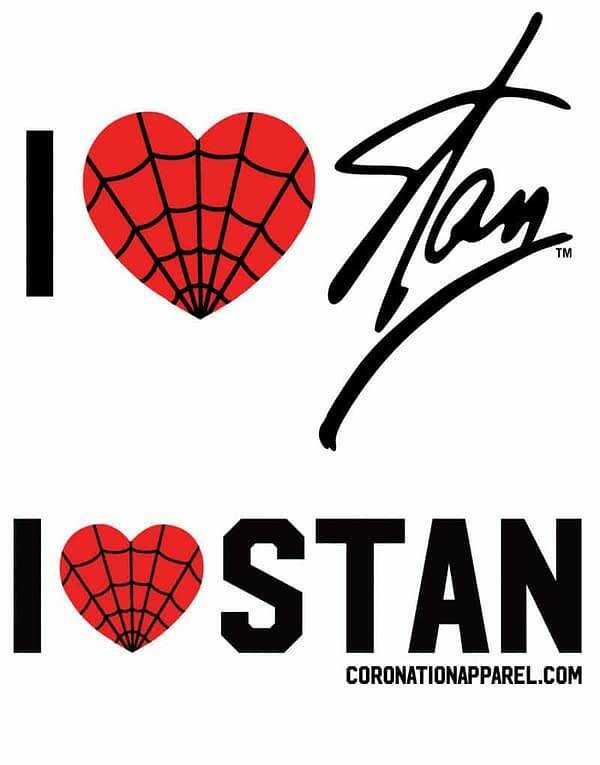 JC Lee, daughter of Stan Lee, will launch a new marketing promotion and merchandising program at Stan Lee’s LA Comic Con, selling “I Love Stan Lee” and “I Love Stan” apparel. Coronation Apparel is the first licensee to take part in the program, and will be selling t-shirts, hats, and caps at their booth. And what better way to tell the co-creator of the Marvel Universe that you appreciate him than with a t-shirt, hat, or cap?! Sure, you might think you love Stan Lee, but do you love him enough to literally wear it on your sleeve? Check out the logos below, and stop by booth #2149 at Stan Lee’s LA Comic Con for your chance to tell Stan Lee you love him in the way that matters most: with your fashion sense.